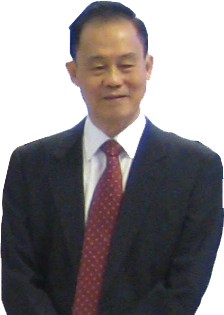 Julian A. Leicester is today Malaysia’s renowned and proven Subconscious specialist. He is often featured in the Medias on his achievements and work with hypnotherapy. Julian has years of proven client experiences to share with you. You will constantly have Julian's full attention and guidance in the course. 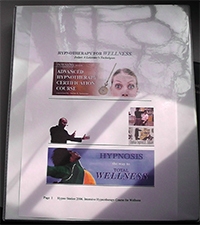 Have you always been interested to learn and use Self Hypnosis? How it can be used to effectively motivate your subconscious for optimal wellness, self improvement and outstanding performance? Here is a course that is just right for you. 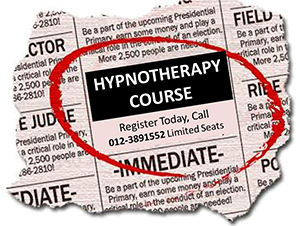 Sign up now for this Intensive hypnotherapy course with great value and, is reasonably priced. You will get study materials and certificate of attendance. 2 Days Self Hypnosis Course - This is a self discovery course for anyone who want to learn hypnosis for self empowerment and healing. 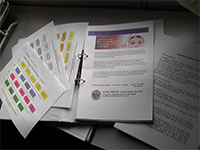 Practitioner Hypnotherapy Course - This is the professional tutor and group based course for anyone who is serious about a carreer as a hypnotherapist. There are several stages of hypnosis. The process begins with reframing the problem; becoming relaxed, then absorbed (deeply engaged in the words or images presented by the Hypnotherapist); dissociating (letting go of critical thoughts); responding (complying whole-heartedly to the Hypnotherapist suggestions); returning to usual awareness; and reflecting on the experience. Hypnosis is used in a variety of settings – from emergency rooms to therapist consultation – to relieve conditions with an emotional or psychological component. Studies suggest that hypnosis may improve immune function, increase relaxation, decrease stress, and ease feelings of anxiety. Hypnotherapy is effective in reducing the fear and anxiety that accompany pain and uncomfortable medical or dental procedures. For example, when used during an operation, hypnosis may improve recovery time and decrease anxiety as well as pain following the surgery. Clinical trials on burn patients suggest that hypnosis decreases pain (enough to replace pain medication) and speeds healing. Generally, studies indicate that using hypnosis can lessen your need for medication, improve your mental and physical condition before an operation, and reduce the time it takes to recover. Dentists also use hypnotherapy to control gagging and bleeding. A Hypnotherapist can teach a person self-regulation skills. For instance, someone with arthritis may be told that he or she can turn down pain like the volume on a radio. Hypnotherapy can also be an effective tool for managing chronic illness. Self-hypnosis can enhance a sense of control, which is often eroded by chronic illness. Children may benefit the most from hypnosis, probably because they are most easily hypnotized. Studies shown in emergency treatment centers show that hypnotherapy reduces fear, anxiety, and discomfort and improves self-control and cooperation with medical personnel.